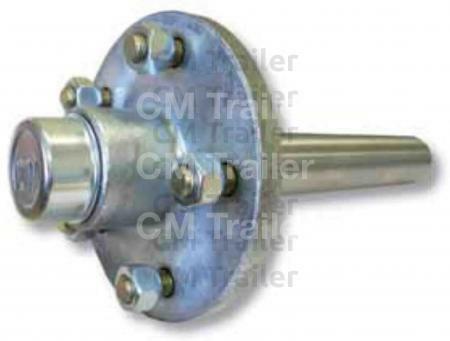 All CM 1000kg, 1500kg, 1750kg and 2000kg trailer hubs have a galvanised finish, maintaining an excellent appearance for many years. CM Hubs are CNC machined from high quality ductile iron castings and are fitted with quality Japanese taper roller bearings. 2750kg hub seals are automotive 2-lip, marine seals available at extra cost. *2750kg hub seals are automotive 2-lip, marine seals available at extra cost. All hub and stub sets have a 2-digit suffix to the part number from the studding table below. 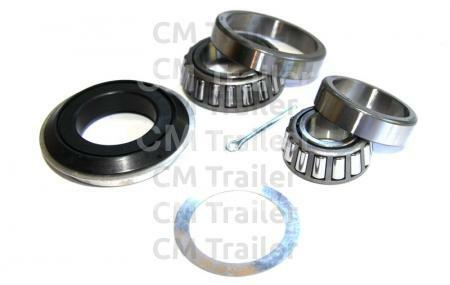 Select your part number from the chart above and add the suffix from the studding table below, eg: TE1HS1500-09G55 is a 1500kg Hub and Stub set with 9" axles drilled and studded Ford Falcon 4.50" x 5 stud x 1/2"
All CM wheel bearing kits include Japanese bearings, seals and split pin to recondition one hub. *Image shown with marine seal.